Amazon has another great deal available! 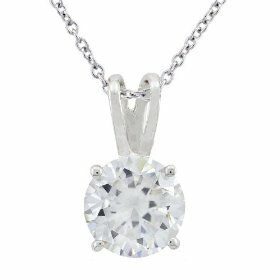 Currently, they are offering up this Platinum Overlay Sterling Silver Cubic Zirconia Solitaire Pendant, 18 absolutely FREE ($40 value) with any qualifying jewelry purchase available here (sort by price: low to high if it isn’t already). Plus, all the qualifying jewelry is an additional 30% off! This discount will show up automatically at checkout. Final price: $13.99 and you’ll get FREE shipping! Make sure the items you’re purchasing are shipping and sold by Amazon.com, or else you won’t get the correct discount.